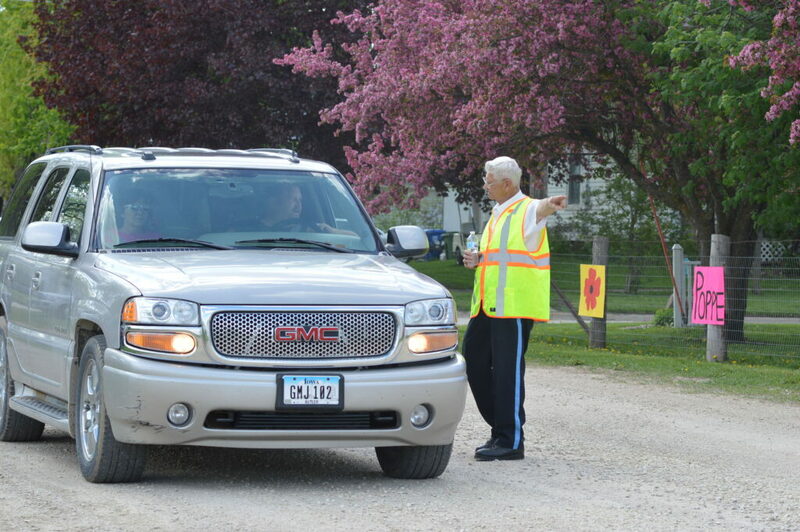 ALLISON, Iowa – Iowans can be proud. 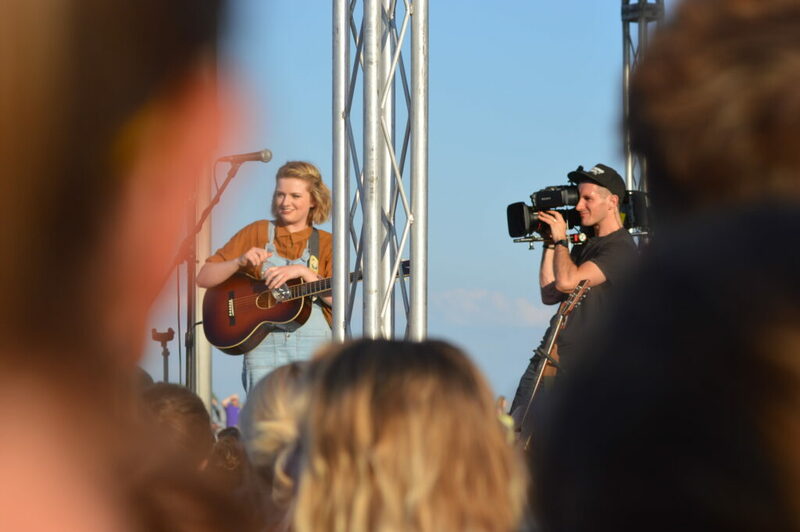 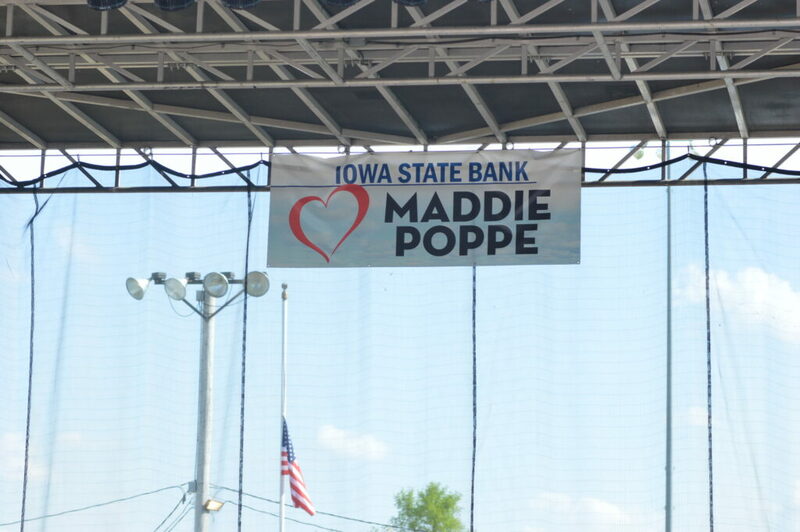 Not only is Maddie Poppe in the top three of “American Idol,” but the 20-year-old Clarksville native is just as humble, Iowa-nice and incredibly talented in person as she appears on the show. 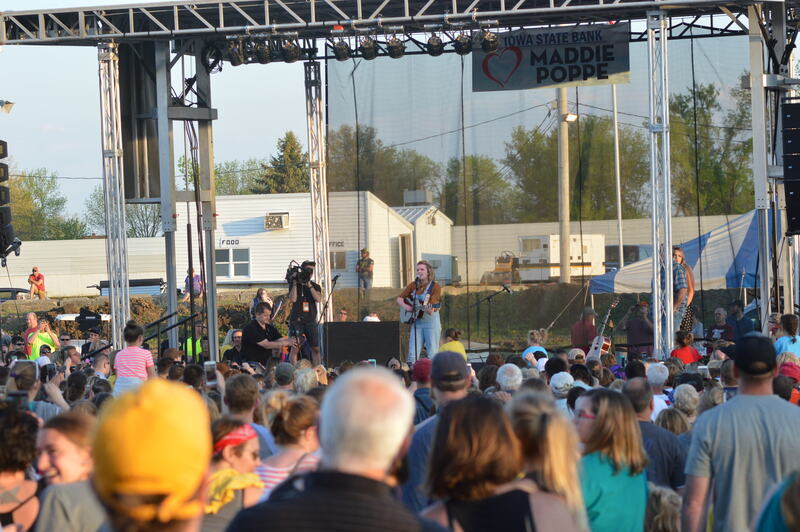 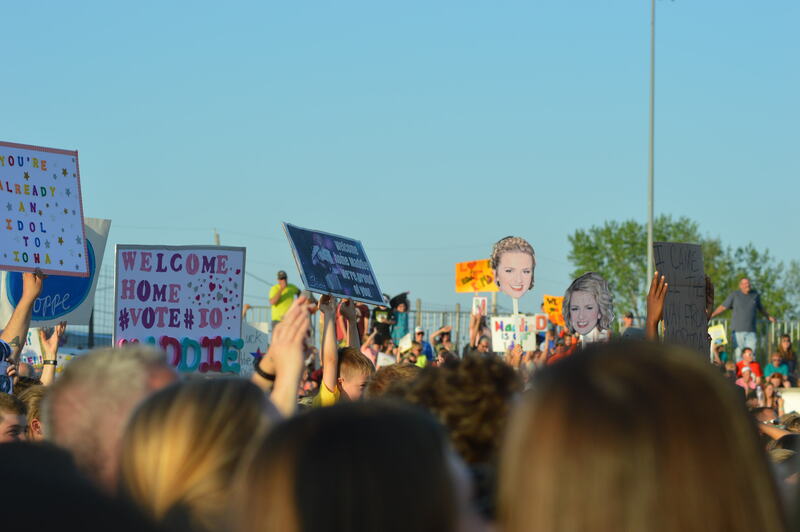 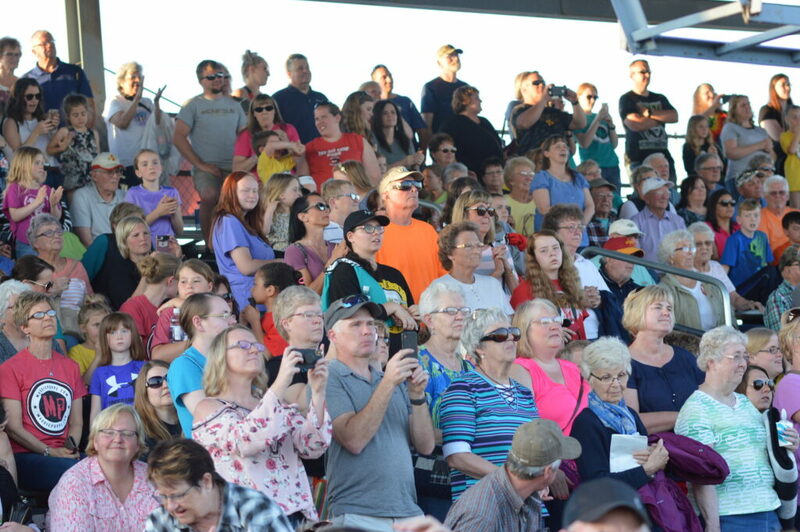 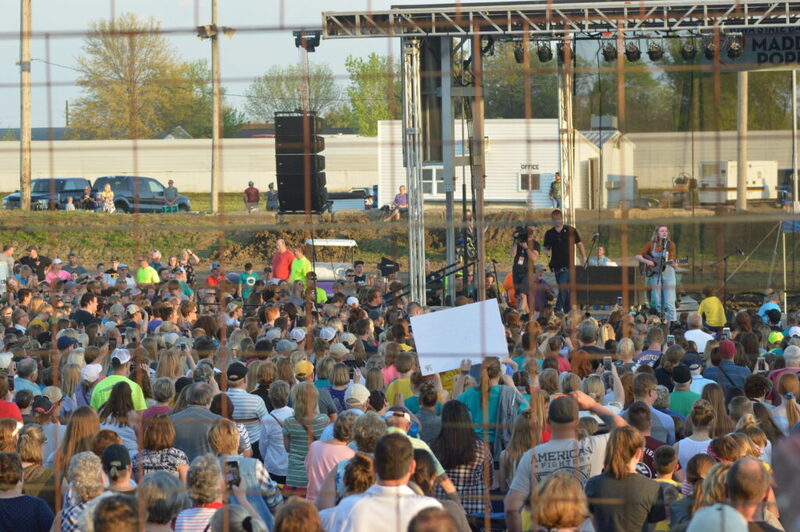 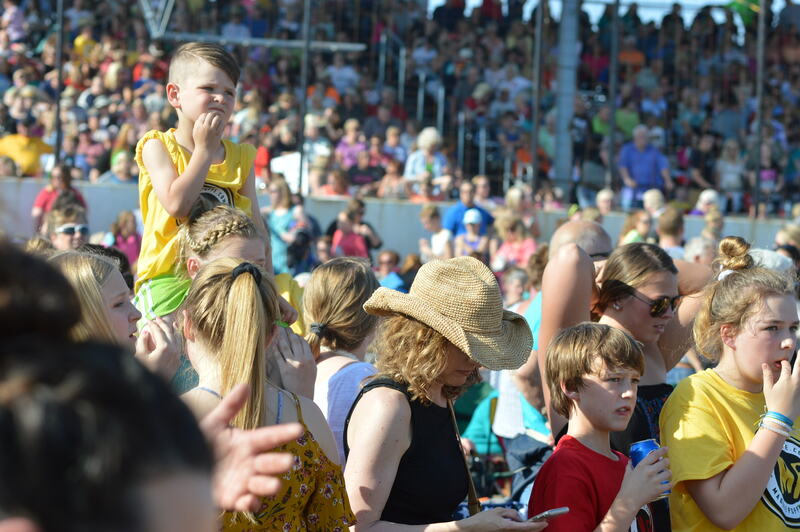 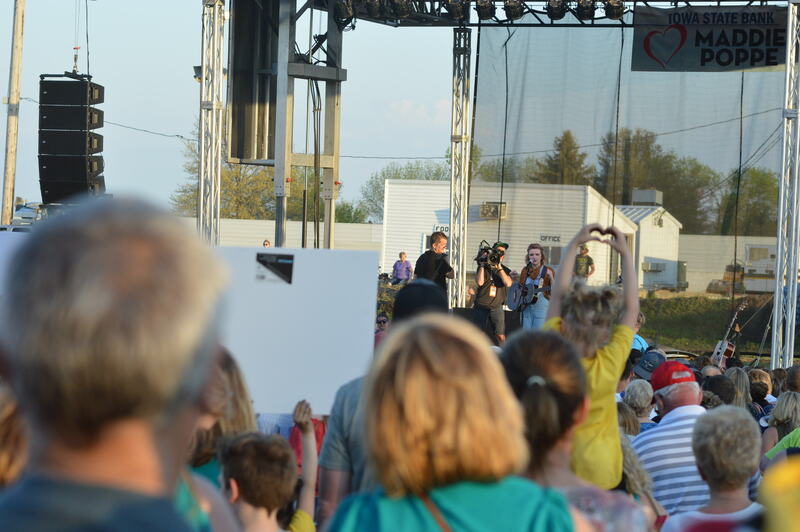 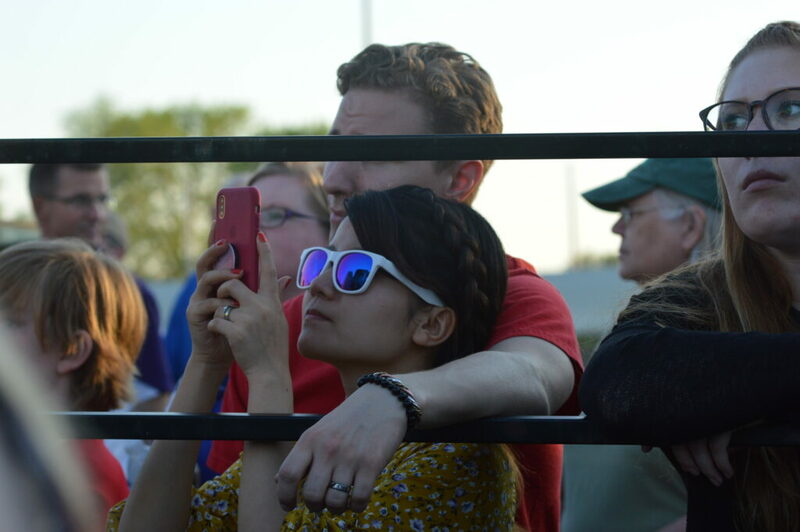 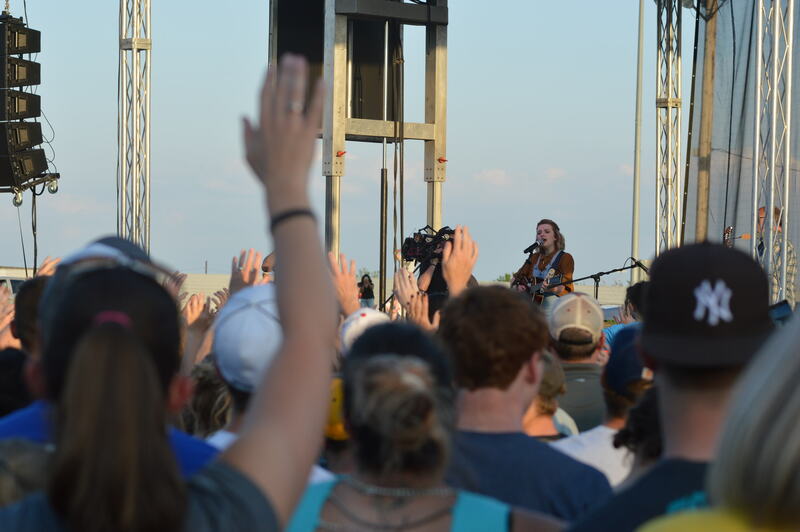 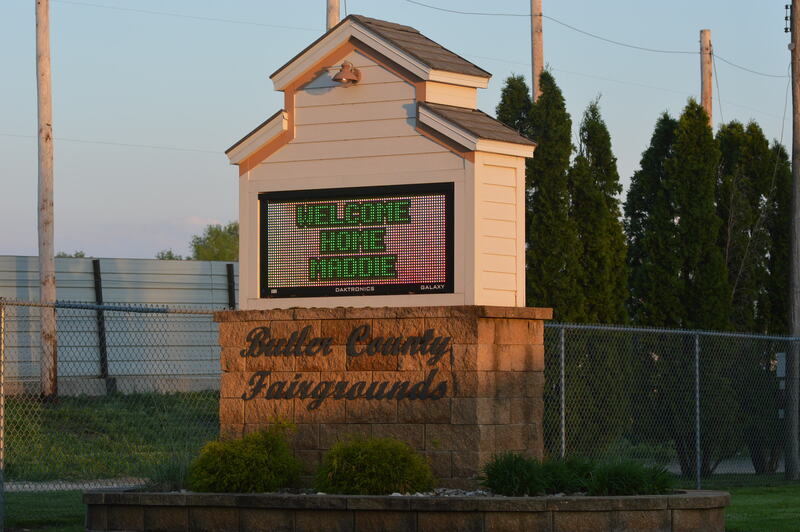 A homecoming parade welcomed her back to Clarksville on Tuesday, May 15, followed by a performance at the Butler County Fairgrounds in Allison, attended by more than 10,000 fans. 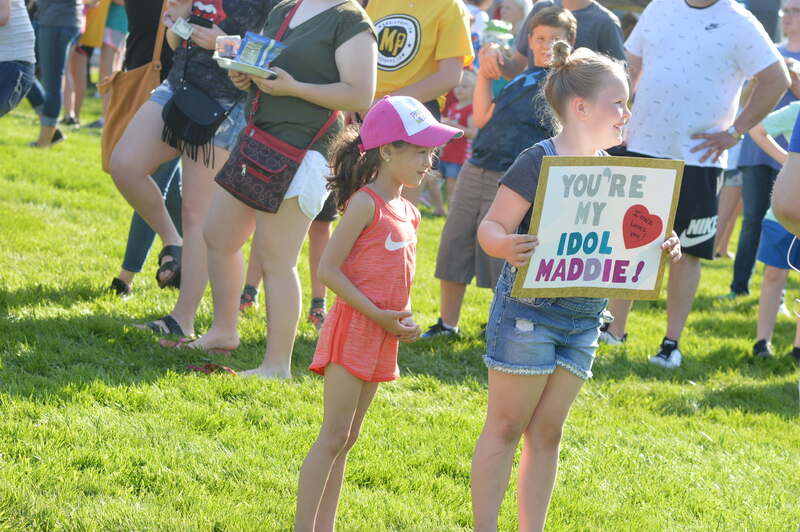 Both will be featured during American Idol’s finale, beginning at 7 p.m. (CST) Sunday, May 20, 2018, on ABC. 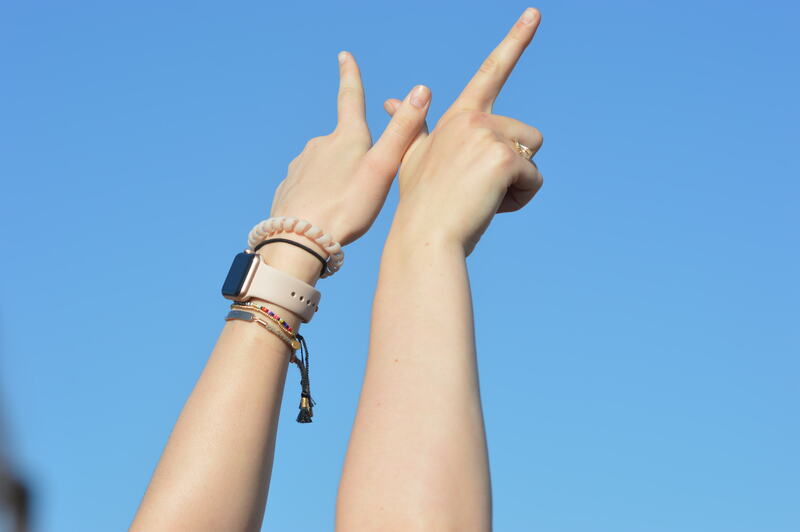 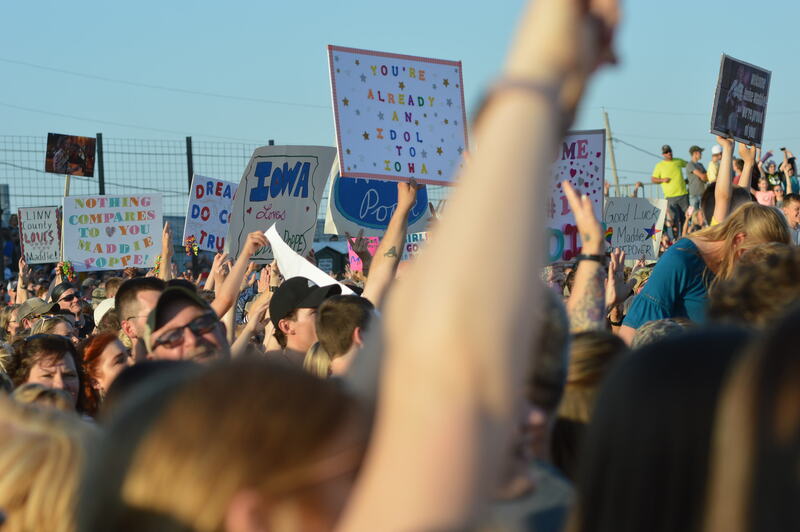 Oftentimes Hollywood portrays the state as nothing more than fields of corn when Iowa connections exist, such as “The Bachelor,” “Dancing with the Stars” and other seasons of American Idol. 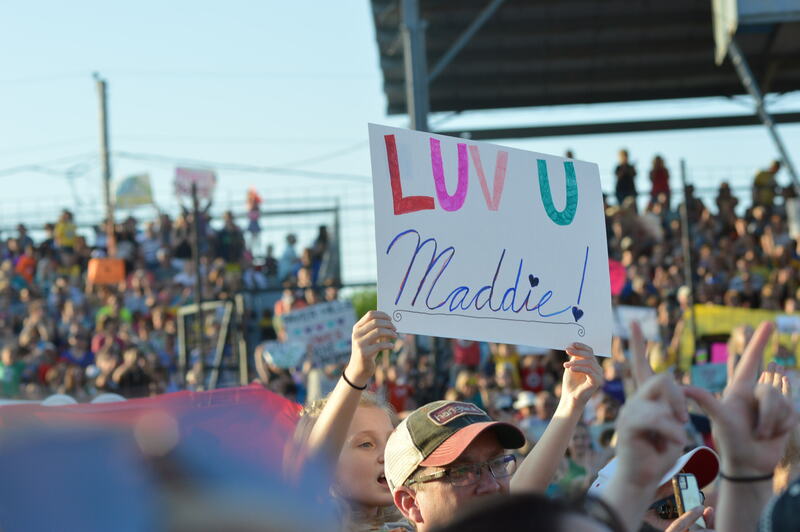 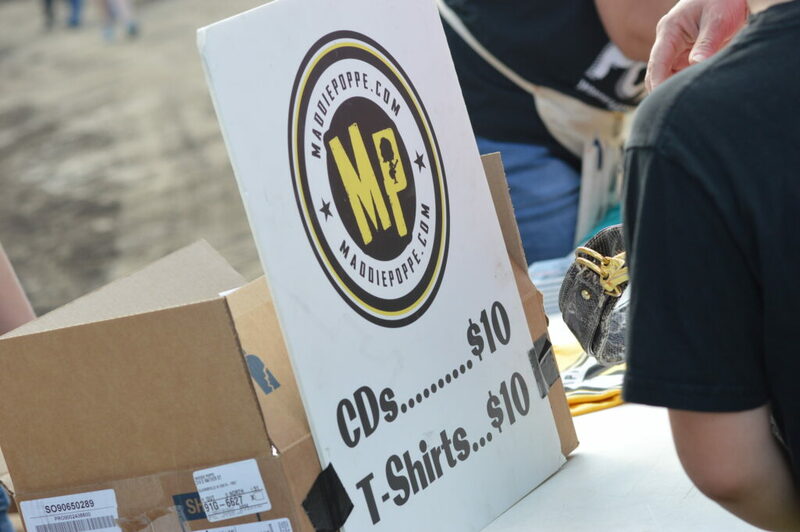 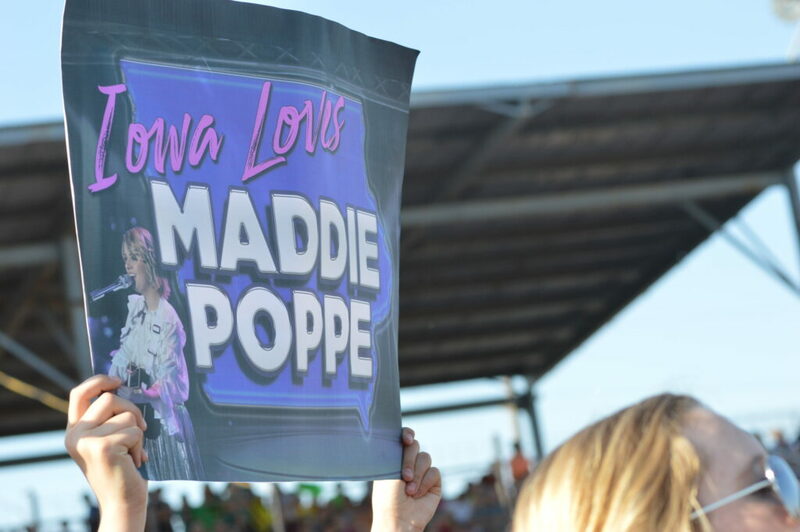 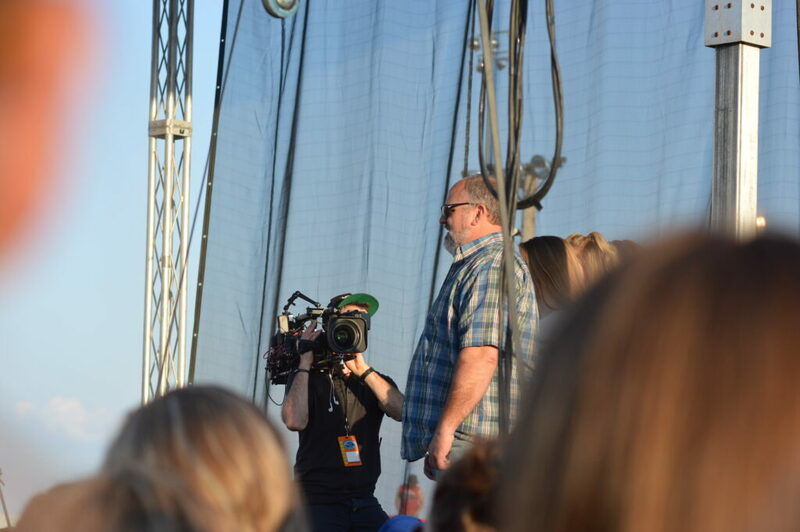 Some of that might be the “reality” on this reality show, where country music blared for hours while the crowd gathered at the fairgrounds, holding signs for their favorite hometown idol. 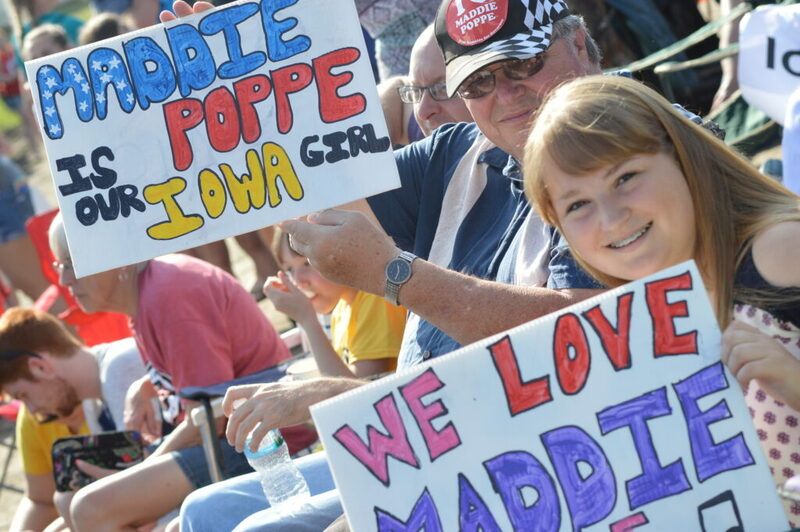 Wearing overalls and accompanied by her family, Poppe took to the stage amid cheers from the packed audience. 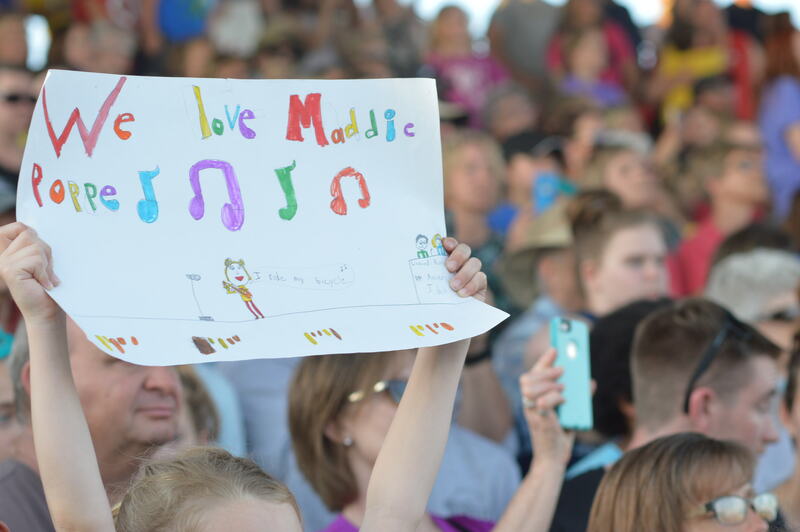 She became emotional during her first tune, “Rainbow Connection,” the song she used for her audition. 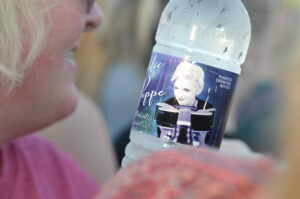 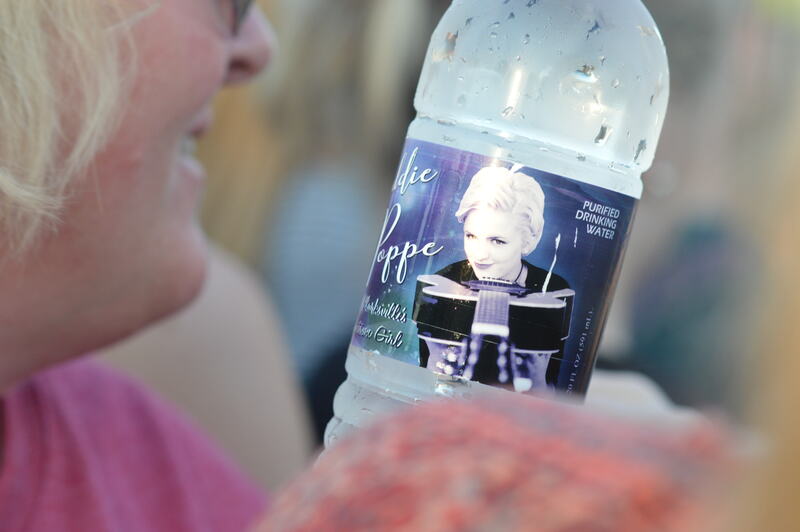 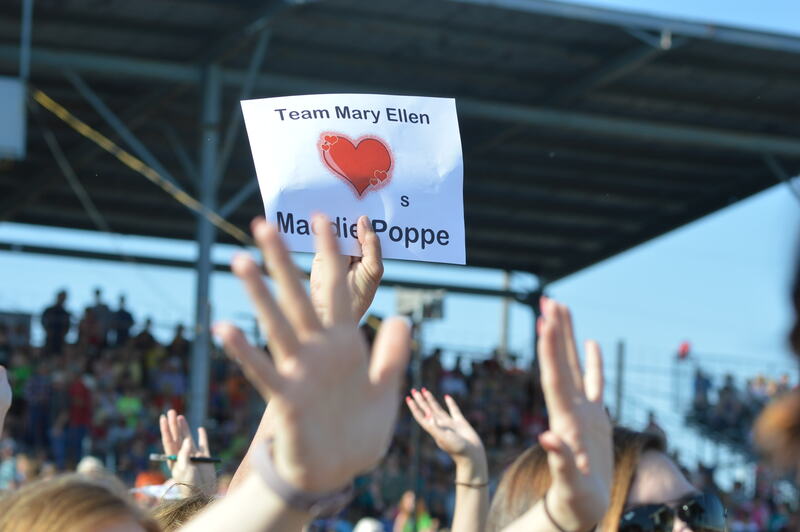 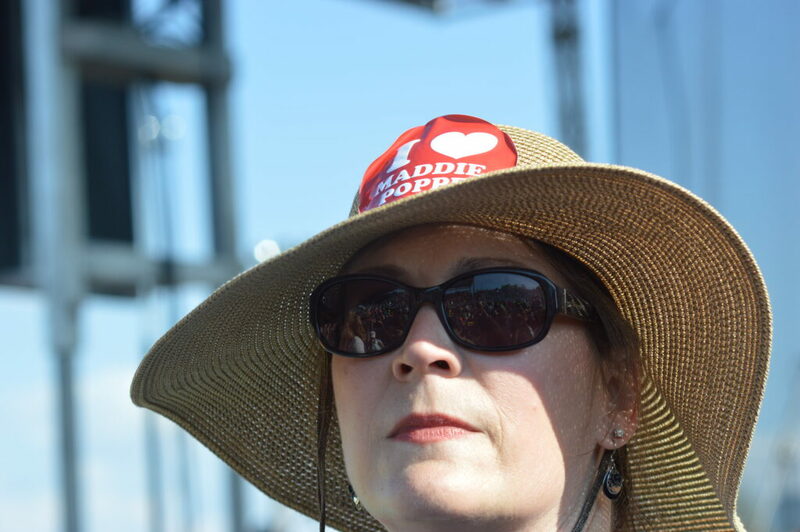 “I always dreamed of this,” Poppe said, her voice breaking as she looked at the crowd. 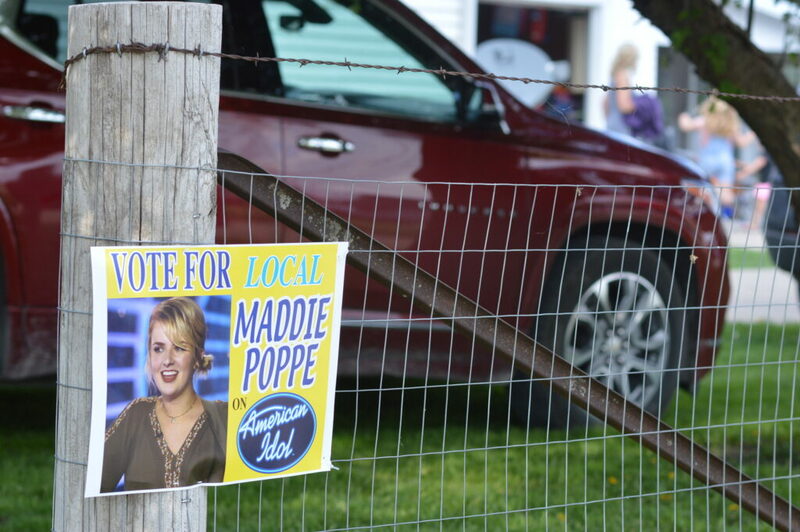 The latter song was one she performed on American Idol that didn’t air, Poppe said. 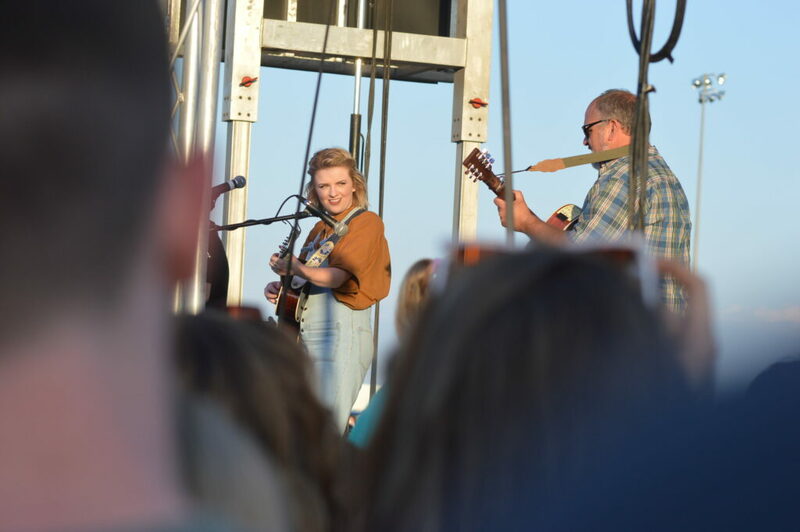 She played Homeward Bound a second time, for more TV shots, and then said she had to end the show, but came back shortly after with the tune that Poppe said was the turning point for her on Idol: “Brand New Key,” to more cheers from the crowd.